If you are planning to keep your Koi in a pond for the winter months, you’ll definitely want to learn more about pond covers. With the right cover, you can winterize the area, keeping plants and fish protected. In fact, the right cover can keep ice formation from being a big problem as well. A good dome cover offers a great way to keep more than just your fish alive – it also helps plants to survive too. Dome pond covers can be purchased, but you can easily make them on your own as well. Learn how to make one and you can easily put it up and then tear it down in the spring so you can use it again and again each winter. 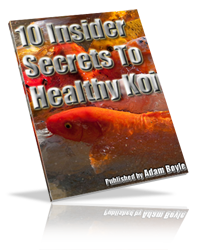 Here is a look at the simple steps needed to make a great cover for your pond to get your Koi ready for the winter months. When you’re making pond covers for your Koi, the first place to start is with the arches for the dome cover. You’ll need to figure out how many arches you will need for this cover. The best rule of thumb is to have an arch located at every three feet of the dome. This way it has plenty of support. The stakes for your arches can be simply made by taking ¾ inch galvanized conduit and then cutting it into section about five feet long with a hacksaw. For every arch you need, you need to have two of these stakes. Now you need to start placing the stakes around the pond for your pond covers. On one side of the Koi pond, place a stake every three feet. You’ll want them to be angled just a bit towards the pond center, driving them into a ground a couple feet so they are sturdy. You’ll want to do the very same thing with the other stakes on the other side of the Koi pond. Make sure that your stakes are exactly parallel for the best results. With some kind of marker, make sure you mark the middle stake so you know where the middle of the pond covers are going to be. The next step in making pond covers yourself is to figure out the arch height for the cover. Take the width of the pond and then multiply this number by 0.6. 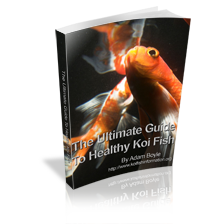 You use this number because you need to allow the arch height to be a minimum of 60% of the Koi pond width. Once you have figured out the height you’ll need for the arches, now you can begin working on the center arch. Take a piece of 1 ¼ inch PVC electrical conduit and then cut this to the height that you have figured out. To make the arch longer if you need to, you can place the female and male ends of your conduit together. Now you can go on making the other arches for your pond covers by making each one a bit shorter as you work towards the outside of the cover. Since you’re making dome pond covers for your Koi, you’ll want to use the arches that you have cut to make a dome shape. The longest arch should be put in the middle by sliding one end over a stake and then putting the other end over the stake that is parallel from it. All the rest of the arches should be assembled in the same way, making every arch a bit shorter as you go towards the ends of the pond covers. Now it’s time to reinforce the pond covers. Start by using a piece of rebar that is four foot long both pond ends. It should be driven into the ground about one to two feet. Now you need to reinforce the dome cover with a spine. This is done by taking ¾ inch electrical conduit and running down the length of the cover, attaching it to every arch that you have in place. It should be run through at the arches highest points. You can use duck tape and zip ties to attach the arches to this conduit. At each end of your pond, slide the ends of your conduit over the rebar pieces that you have driven into the ground. Since you have the basic structure built, now you need to cover the structure to complete it. You can use a good heavy duty tarp of you can purchase some heavy plastic sheeting for these pond covers. You’ll want to cover the structure with plenty of sheeting so it is covered on every side and you have some extra sheeting as well. To hold down the sheeting, simply put some blocks, sand bags, or rocks on top of the extra tarp or sheeting around the cover. This way the wind won’t be able to blow it away. As you can see, making some basic dome pond covers is really relatively simple. Of course, you also have the option to purchase covers for your ponds as well. You can get online and search for cover options to keep your Koi protected during the winter. Whether you decide to purchase your cover or to make your own, you’ll definitely enjoy the benefits that pond covers have to offer – keeping your Koi safe.